My first year of teaching, there were a few surprises: how drained I felt at the end of each day, how much impact a supportive (or unsupportive) administrator and staff can have, how difficult it would be to leave a school when assigned to a new building. The biggest surprise, though, was how tired my voice felt. As an instrumental major, we used to lovingly tease the vocalists in college for walking around with their water bottles, humming to themselves, and being so careful of how they used their voices. And then I started repeatedly losing my voice...and began drinking lots of water...and found myself walking around with water bottles, humming to myself, and being much more aware to not shout unnecessarily at any concerts, no matter how excited I was about a band. 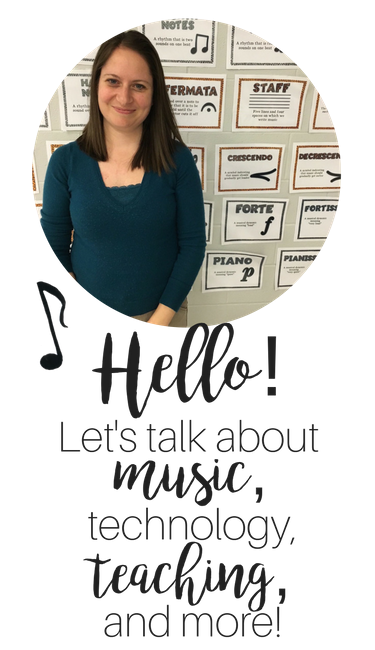 As music teachers, we have to be careful of our voices, because on top of giving directions, having discussions, and talking with students ALL DAY, we are also singing...ALL DAY. My first year, I lost my voice at the end of every week. Every weekend, I struggled to talk to my friends and family and tired to recuperate as much as possible before diving into another week of teaching. In retrospect, I wasn't using my voice correctly. I was an instrumentalist who all of a sudden was singing all the time. I'd only been in choir one semester in my entire career. I just didn't get how to use my voice properly--singing OR speaking. Scared I might get vocal nodes, and tired of losing my voice so often, I began taking voice lessons, and this helped SO much! At this point in my career, I thankfully only lose my voice maybe once or twice a year. This happened recently--and even after a full week of spring break, I still was struggling to sing on Monday! Thankfully by yesterday, my voice had fully returned. 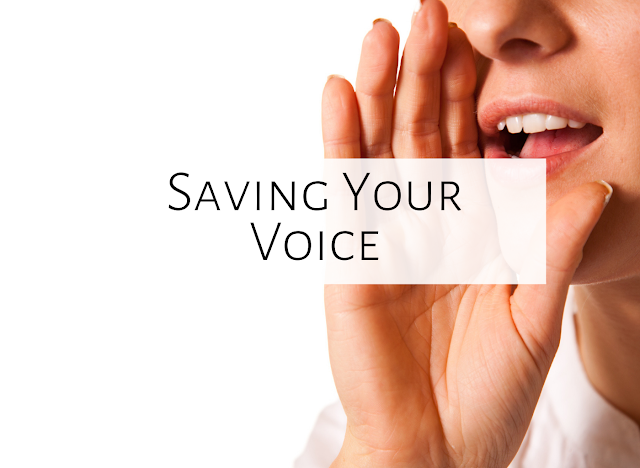 Today, I thought I'd share some tips for saving your voice. Of course I'm not a vocal expert, but as a music teacher for sixteen years, I've picked up a few tricks along the way. Please keep in mind that along with these tips, if you are having problems with your voice, you should see a speech therapist, doctor, and/or voice teacher. Sometimes we are speaking too low and/or are not supporting our singing (among other issues), and this can lead to many problems. #1: Drink LOTS of water! This is probably the most obvious solution, but even though I know I should drink lots of water, I sometimes have to remind myself. Having a bottle of water at my desk all the time really does help. Drinking water when I'm not working is also very helpful! Let the kids sing without you as you take a drink of water, if necessary! Instead of telling your students to stand and get into a circle, motion for them to stand, then make a circle with your fingers. This takes a little bit of training, but eventually your kids will know exactly what to do without you using your words. Instead of saying, "Okay, boys and girls, let's sing that song one more time," sing on the starting pitch, "One more time," and away you go! Of course, it's great to tell your kids the background of a song, or to have a thoughtful discussion about steady beat, or to hear what they did over spring break, but sometimes we just talk too much. I have participated in a few novel writing groups (I've written three novels...which is yet another blog post!) and every group I've been in has talked about minimizing unnecessary words. The same is true for teaching--if you don't need to say it, then don't! It'll save your voice and give you more time to make music. I've seen a couple workshop sessions about miming while you are teaching. This was an interesting idea to me--using no words whatsoever to get your point across! One of my former graduate students at DePaul did his peer teaching like this, and it was completely magical. I tried it for the first time before spring break, and overall I really liked it, as did the kids! 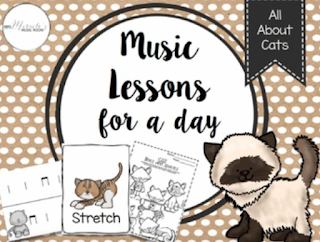 I motioned for the kids to keep the beat, or clap the rhythm, or get into a circle, or read rhythm cards, and they did it without me using any words. I realized as I was doing it, though, that there were some things I just had to say aloud, mostly because this was the first time I tried it, and you kind of have to ease the kids into it. I loved that at one point during the class, a second grader turned to another student, and incredulously whispered, "She's not talking!!" I couldn't teach every lesson like this, but it was magical for the kids, and it helped me save my voice! We all have students in our class who are natural leaders with their singing. If you are struggling to sing, have one of those students give the starting pitch, or ask all the students to follow that student when singing since you can't sing. I try not to sing when my students know a song well, but the week before spring break, I really got a good idea of how well each class could sing without my help (and in most cases, I was very pleased!) And by using student leaders, you let those kids shine. 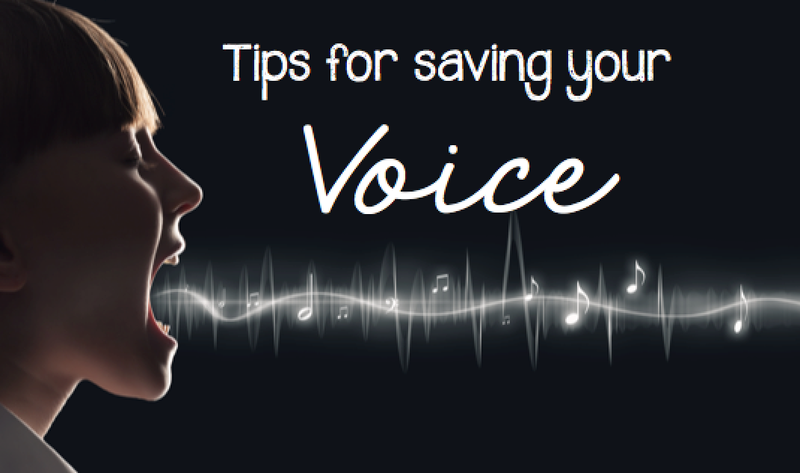 What are your tricks for saving your voice? Please comment below! Thank you for posting about this important topic! Vocal health is a subject very near and dear to me because I had vocal nodes as a high school student. The summer before entering college (as a voice major), I had vocal surgery and then had to work with a vocal therapist to completely re-learn how to use my voice. The number one thing that I learned from that experience is to speak with good prosody (varying pitch and inflection) and to speak in my head voice. It feels unnatural at first, yes, and sometimes I feel a bit like Julia Child, but it is SO worth it. Firstly, thank you for the tips, we must drink looooots of water!! Hahah. Secondly, I feel like this is a pressing matter and we don't give it the attention we should. It is very important to treat our voice nicely and take everything you stated in mind but I've recently discovered that it's also essential to check our vocal track periodically. Last year I started losing my voice completely and, as you say, after a few days I would recover it. Soon it was not recovering completely and the time it costed me to recover became greater and greater. Finally I went to the otorhinolaryngologist and they discovered I had a gigantic polyp on one of my vocal chords. What I want to imply with all of this is that... I'd really want to encourage everyone of my fellow teachers to go for voice track checkups from time to time and that any of you leave unattended those voice losses because they could mean something organic is going on. I wouldn't want anybody to find out they've got anything like I did. Thank you for your tips! This is a very important matter! Great ideas! I went to a doctor for some problems after a virus and strep this year. I was advised to avoid caffeine, but if I must have my morning cup of coffee, I could drink an extra cup of water to cover the caffeinated drink. I was told I was not using enough air when speaking so I was asked to blow bubbles into a cup of water through a straw as an exercise. Then, I was asked to hum during this exercise to get a feel for how much air needs to pass through when singing/speaking. I was told to warm up my voice each morning and lip trills are a great way to get enough air passing through, as well. I am still trying to use these tips, as it is hard to remember sometimes. I want to work on learning more non-verbal cues to use.